One of the top retirement-planning books, according to Money.com! "... valuable as a resource “from the trenches” of post-recession financial disarray. It confronts the complex emotions people can face around retirement, especially if that prospect suddenly looks a lot further away than you once imagined". Are you 10 to 15 years away from a traditional retirement age range? Are you in a situation where you have very little or no money saved for retirement, and you don’t see how you will be able to afford to retire by age 70? Are you living day to day and struggling to make ends meet? Did you get into this situation because you lost your savings, house equity, and/or investments in the recession, got divorced and are a single parent, your company downsized or your own business had to close, medical reasons have prevented you from physically working, you’re experiencing ageism, you’ve been hit by a serious disaster, or some other similar hardship hit you? But, on the other hand, are you a proactive and entrepreneurial spirit? Is it likely that even if you had millions saved for your retirement you wouldn’t be a person who plans to idle on a beach all day, knit or incessantly play golf? Would you like to be able to say that you are retired now? This book is full of tools, tactics, tips, techniques, and will empower you with actions that you can take, in order for you to enter your own Mindset Retirement NOW. Even though a 2017 survey from the Insured Retirement Institute says that only 23% of baby boomers think they have enough money to last through retirement, the majority of retirement books on the market address only these 23%. Finally, a book for the rest of us! ​​"I really liked reading this book. 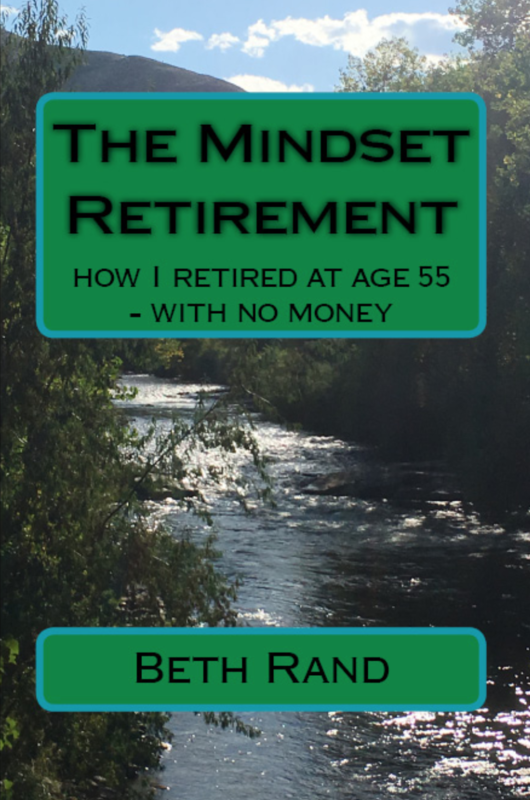 It was insightful and informativeable"
​To see how the author is funding her own Mindset Retirement, check out the other pages of this website. You too can have a Mindset Retirement NOW!